Rolling Stone magazine interviewed George Lucas about the cult of Darth Vader on this day back in 2005. The 73-year-old spoke to the magazine two weeks after the final installment of the Prequel Trilogy, Star Wars: Episode III - The Revenge of the Sith, hit cinemas. "Darth is a variation of dark. And 'Vader' is a variation of father. So it's basically Dark Father. All the names have history, but sometimes I make mistakes - Luke was originally going to be called Luke Skywalker, but then I realized that wasn't appropriate for that character. It was appropriate for Anakin, but not for his son. "I said, 'Wait, we can't weigh this down too much - he's the one that redeems him.'" 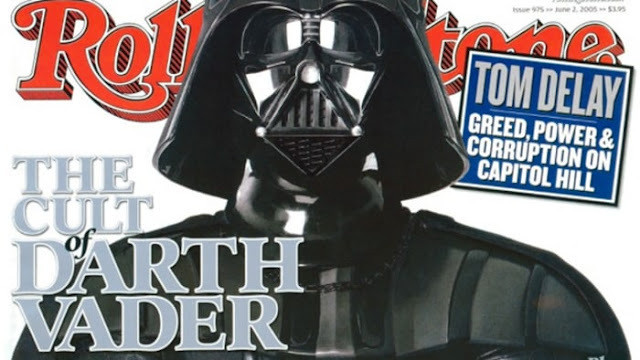 The Saga had come to a conclusion at the time the interview took place and the Star Wars creator said: "I accomplished what I wanted to accomplish. I'm very happy that I have reached the finish line." Lucas' statement rang true (from a certain point of view). Lucas didn't direct anymore live action Star Wars films but he did help engineer the creation of the animated movie - Star Wars: The Clone Wars (2008) - followed by an animated TV series consisting of over 100 episodes. 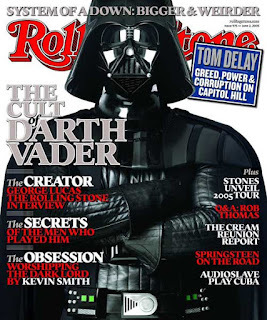 To read the rest of the transcript between George Lucas and Rolling Stone magazine click the link at the bottom of the page. Rolling Stone magazine was founded in the same year that the band The Rolling Stones were formed in 1967.